presented by Fannie’s Nest, Inc. 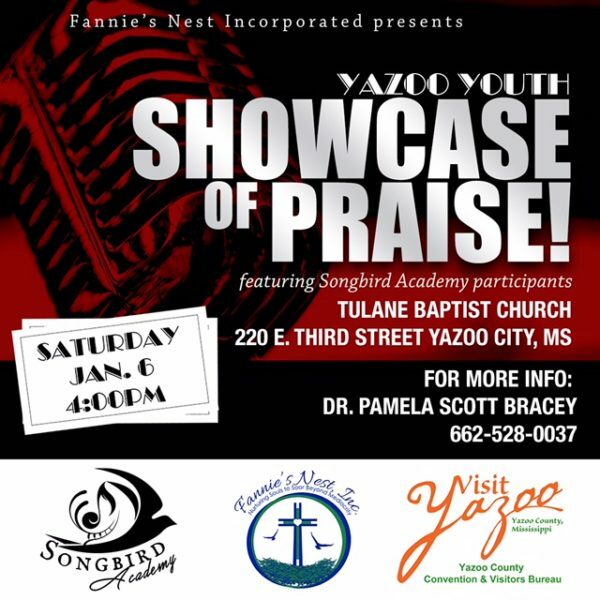 Calling all Yazoo area middle and high school students who love to sing! Songbird Academy is now accepting participants. Learn professional singing strategies from trained vocal coaches and clinicians! 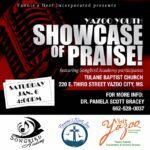 Public Performance: Yazoo Youth Showcase of Praise! Contact Dr. Pamela Kay Bracey at 662-528-0337 for more information.